UPDATE 3: Bolduc has been sworn in by Governor LePage. UPDATE x2: Brigadier General James Campbell spoke before Appropriations and Criminal Justice Committees just last week regarding the budget. His portion starts at the 2:40 mark. Adrienne Bennett, a spokeswoman for the governor, said the internal review had been happening for some time, but did not say who conducted it. She said the decision to fire Campbell came this morning. 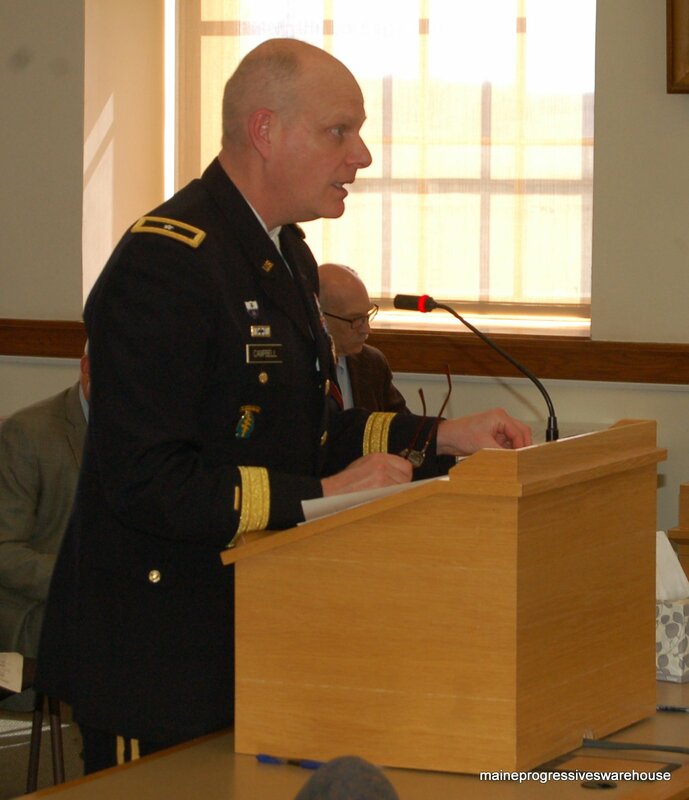 Brigadier General Gerard Bolduc of Bangor has been named acting Adjuntant General. 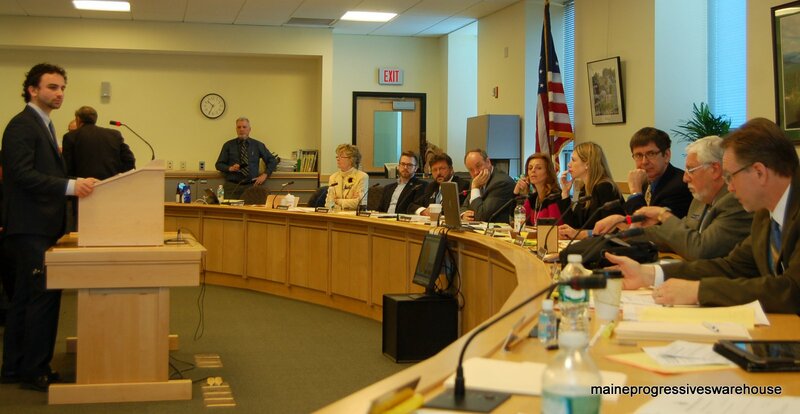 Maine’s Adjuntant General Brigadier General James Campbell, who spoke recently before the Appropriations Committee, has apparently been shown the door by Governor Paul LePage this morning. This news comes as quite a surprise, given that Campbell was scheduled to address a joint convention of the 127th Maine Legislature this morning (PDF OF SPEECH). No official word yet from the Governor’s office as to the reasons for the decision nor further information at this time. RESOLVED: That suitable copies of this resolution, duly authenticated by the Secretary of State, be transmitted to the Adjutant General of the Maine National Guard. Here is the updated weekly address as sent out today (AUDIO LINK). Forty-six years ago Democratic Governor Ken Curtis championed a controversial state income tax. So it began; Mainer’s paychecks were raided to pay for bigger government. In 1969, the income tax barely survived the Legislature, and today $1.2 billion dollars is taken from hardworking Mainers through income tax. Nearly fifty years later, we are trying to return money back to Mainers, but it’s not without a major battle. This week, Democratic Representative Adam Goode of Bangor opposed our plan saying it only benefits the rich. However, his definition of rich is interesting. Most Maine businesses are pass through entities meaning many of those earning 400-thousand dollars are actually small businesses owners. These are the businesses that create jobs and invest these tax cuts creating career opportunities. Also, what Rep. Goode fails to mention is that 653-thousand working Mainers pay over one billion dollars – 1.2 billion to be exact – in income taxes. Our plan returns that money back to working Mainers. Starting next year, Mainers will receive $238 million annually back in taxes and that number increases to $300 million in four years. Our plan helps those earning lower incomes, too. We’ve set aside $60 Million to the neediest Mainers through the Sales Tax Fairness Credit and the Property Tax Fairness Credit. These tax credits are available only to those of more limited means. 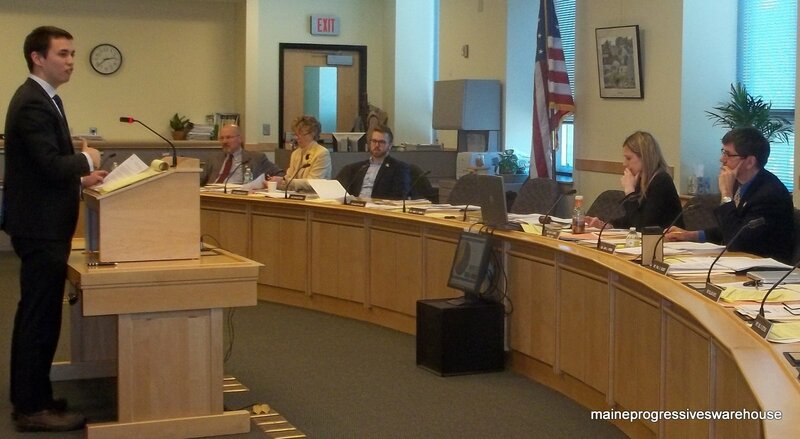 The Property Tax Fairness Credit will help Mainers with their property taxes. We’ve doubled the amount of money available to Mainers under 65 and with limited incomes. We have also tripled the amount of money available through the Homestead Exemption. This tax credit helps Mainers over 65 to lower their property taxes. Another way we help folks with lower incomes is by providing a tax credit toward the sales tax. Those with limited incomes will be eligible for this tax credit. For Representative Goode to claim this plan benefits the rich is an insult to Bangor residents who pay the state nearly $29 million in annual income tax. If you really look at how this plan works you will see it modernizes our tax code so the majority of Mainers are keeping what they earn. Don’t be fooled by rhetoric. 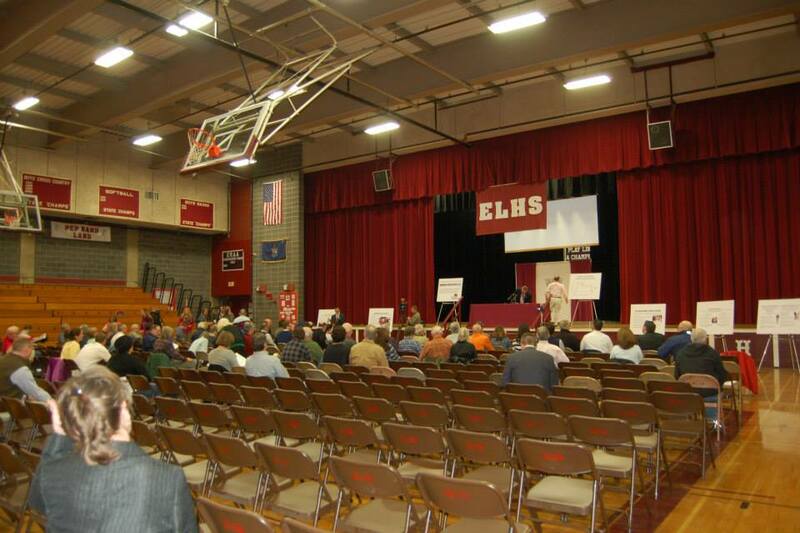 I encourage you to attend one of our upcoming town hall meetings to learn the facts. You can also call your legislator to tell them you support eliminating the income tax. Legislators are working on the budget now and they must hear from you. Meanwhile, remember who introduced the income tax here in Maine? Well, today former Governor Ken Curtis lives in Florida where there is zero income tax. 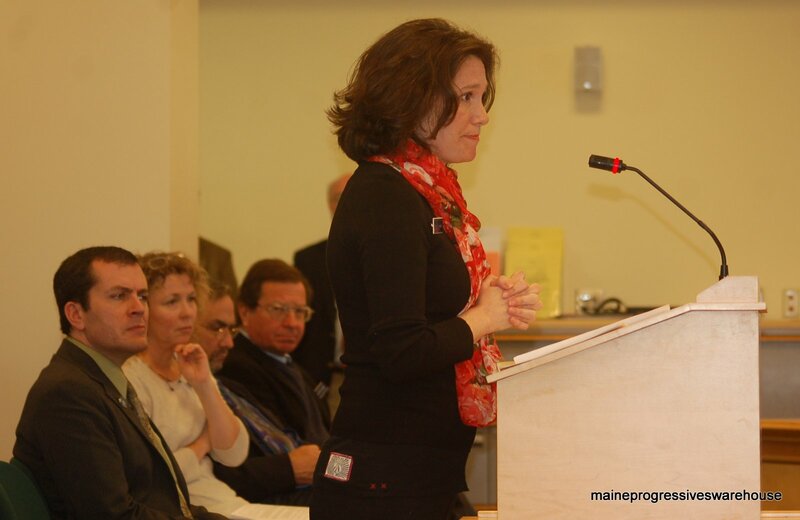 3/19/15 UPDATE: Bumping yesterday’s post to the top of the page, as Maine author and long-time Bangor resident Stephen King has responded to Governor LePage. Nearly fifty years later, we are trying to return money back to Mainers, but it’s not without a major battle. This week, Democratic Representative Adam Goode of Bangor opposed our plan saying it only benefits the rich. Governor LePage speaks to audience at Auburn tax reform town hall. The Property Tax Fairness Credit will help Mainers with their property taxes. We’ve doubled the amount of money available to Mainers under 65 and with limited incomes. We have also tripled the amount of money available through the Homestead Exemption. This tax credit helps Mainers over 65 to lower their property taxes. 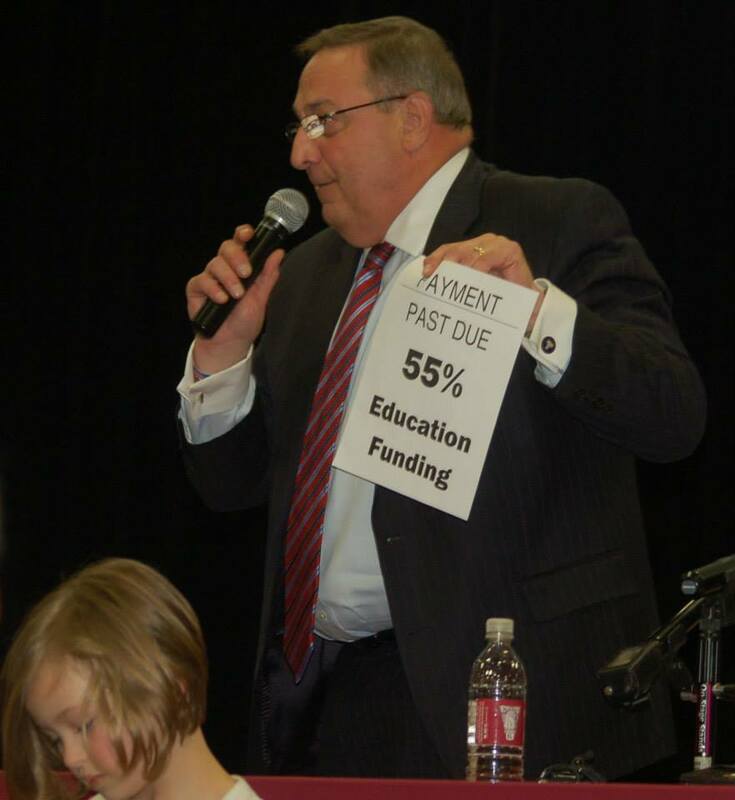 Dozens attended LePage’s 3/11/15 town hall held in Auburn to hear what the governor had to say about his budget and tax reform. Meanwhile, remember who introduced the income tax here in Maine. Well, today former Governor Ken Curtis lives in Florida where there is zero income tax. Stephen King and Roxanne Quimby have moved away, as well. Oopsie! 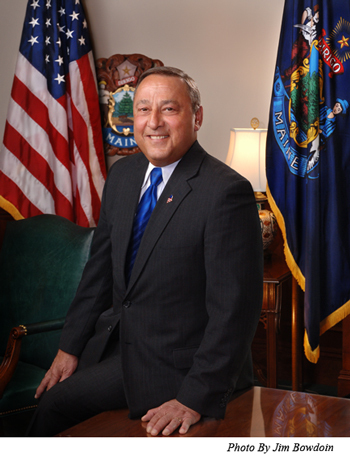 Has the governor so soon forgotten his wife, First Lady Ann LePage is a snowbird, too? Or that in 2010, Mrs. LePage had to pay a hefty fine to the State of Florida, for claiming permanent residency in both states? 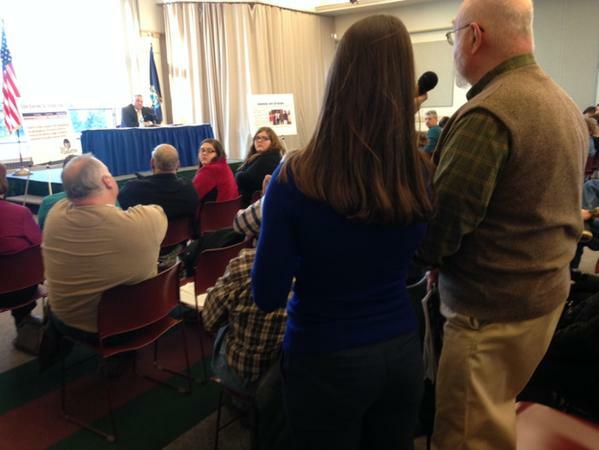 At last week’s town hall in Auburn, the public had an opportunity to directly ask questions of Governor Paul LePage or make observations about how the governor’s proposed biennial budget for FY 2016-17 would affect them. So much for LePage’s plan to eliminate the estate tax, as to allow for this elderly man to pass the working farm that has been in his family since 1894 to his descendants! LePage has already held town halls in Bangor and Westbrook in addition to Auburn; tomorrow he heads to The County for one hosted at UMPI in Presque Isle. From there, his office has released the following tentative schedule with more stops to be announced. Here is the 3/16/15 agenda for the 127th Maine Legislature’s Joint Standing Committees on Appropriations and Criminal Justice and Public Safety taking up of LR 1852, Governor Paul LePage’s proposed biennial budget for FY 2016-7, followed by clips from the public hearing. Here are clips from the resulting four hours’ worth of testimony.